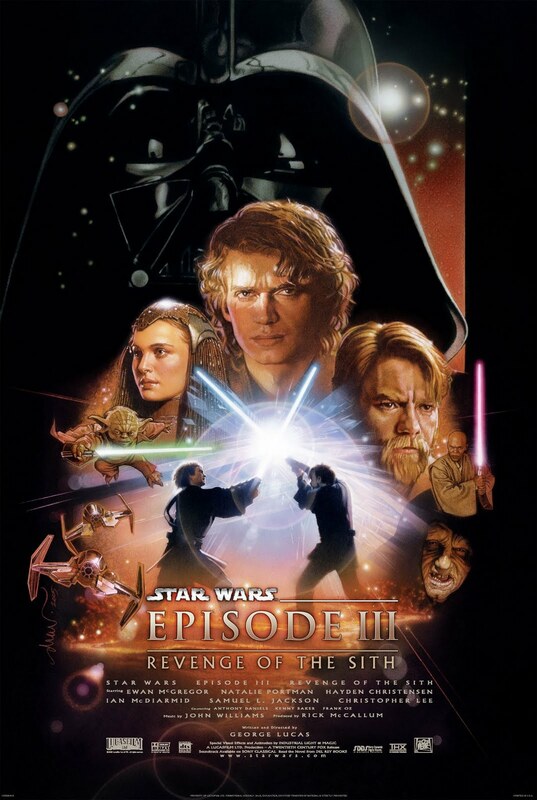 Red Letter Media’s Harry Plinkett has posted the highly anticipated final installment in his popular trilogy of Star Wars prequel reviews, this time skewering Episode III: Revenge of the Sith. While it’s fairly easy to pick apart the storytelling flaws running rampant throughout the prequel trilogy, Plinkett’s review—as humorous as it is—takes a serious film workshop approach in breaking down what doesn’t work about Sith, namely George Lucas’ dull shot/countershot coverage of dialogue scenes and the prequels’ inability to connect with the audience. Watch the first part of Plinkett’s review below. When you are finished focusing on RedLetterMedia's Plinkett review of the Revenge of the Sith movie, how about spending some time focusing on how the media landscape from that time period was equally as troubling. From Star Wars' fan attacks on subcultures to FBI/ICE joint operations sending people to jail, the months around the release of Revenge of the Sith were interesting times, not just for Star Wars fandom but for issues like freer internets, the mispronunciation of Sith, intercultural and cross international boarder expression and much much more. %20's, THEE BACKSLACPKPING WITH MEDIA, condenses the hundreds of hours of individual to corporate media into a 3.5 hour documediamentary which you can choose to spend as little or as much time as you want. Quote: "As you probably have guessed, this is not your typical fanedit. It's a documentary about Star Wars, yet that is not its mission. It's a mashup yet its goal is not necessarely the entertainment value usually associated with such edits. The best way I could describe this thing is that it's a commentary on the current state of the media. No wait - it's a mockumentary on the way we perceive media. No, that's not exactly it. It's an extrapolation on how media will be fed to us somewhere down the line in 20, 30 years. Actually, it is all these things. Thee Backslacpkping With Media is a meticulously assembled piece of art which has so many levels of depths that it is almost impossible to review in a conventional way. It is rather meant to be analyzed, deconstructed and talked about endlessly. It is meant to make us simultaneously examine the impact Star Wars has had on the way movies are marketed; the way the media has handled the hype surrounding the prequels; the way we assimilate information; the current state of the internet and where it's headed; how corporations are shaping modern copyright laws; how we perceive art and what is "stealing" and what is "hommage" and what is derivative work and... too many questions that I will not go into here, because that is not the purpose of this review."